Living on an island, especially a small one, requires a special commitment. A willingness to live without some conveniences while also living at some distance from what islanders call The Mainland and all of its distractions and stresses. 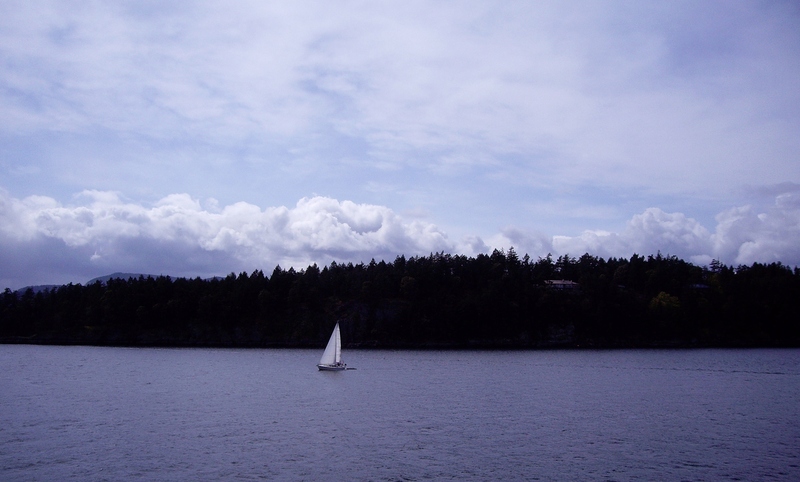 A willingness to be tied to the pulse of ferry schedules and the cost of tickets, which change at the dictate of the ferry corporation, frequently enraging those who are fiercely devoted to their uniquely detached way of life. Years ago, I remember islanders protesting reductions in sailings and increases in fares by laying down in front of disembarking ferry traffic. Fortunately, no one was injured, though a few protest signs were damaged, and for the most part Canadian decorum prevailed. Today I look across Fulford Harbour, watching the ferry in the distance and a pair of swans in the foreground, who of course declined to be photographed. 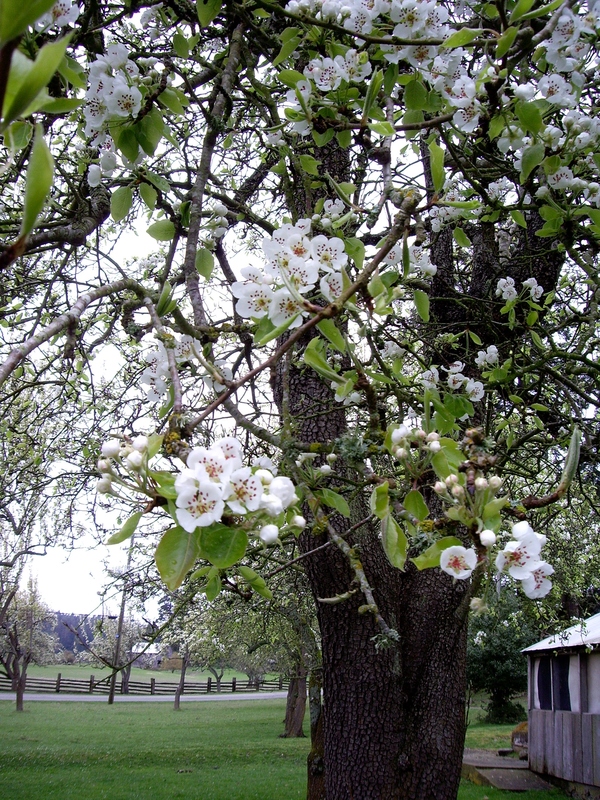 Coming to visit Salt Spring reveals a small slice of this life so treasured. That is, unless one is seized by island fever: that deep need to step on land that is not surrounded on all sides by water. Then the treasure is found on dry terra firma. But most are able to adapt by making forays off island to shop, visit and be entertained. These days, though, so much can be accomplished online and enjoyed on big screen TVs. 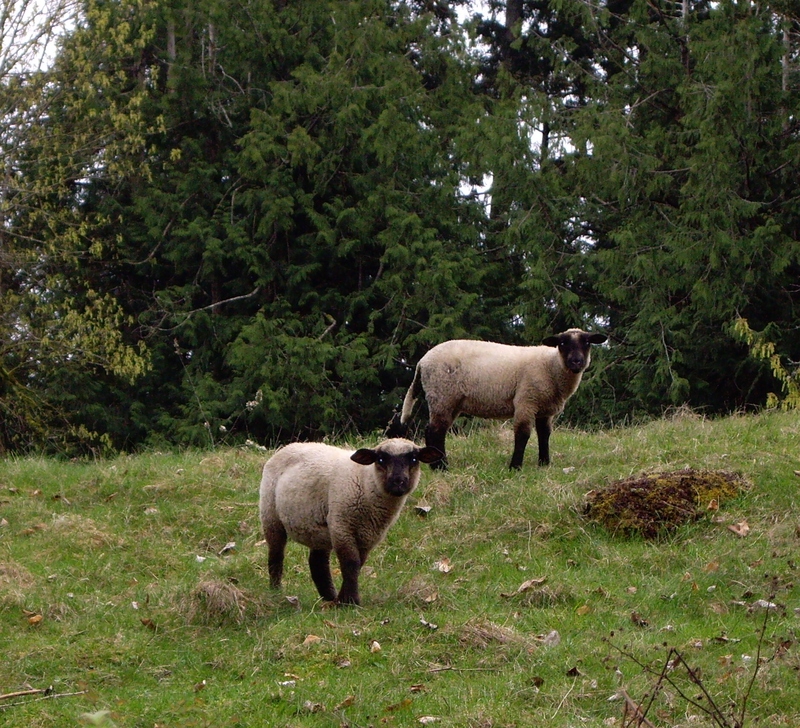 However, the presence of spring lambs must be experienced in person. The little Catholic church in Fulford is probably the most photographed church on the island. It was built in the late 1800s with building material delivered by canoes. It was years before I discovered that the faux stone façade was added in the 1970s, which solved the mystery of how the canoes could have carried all that stone! 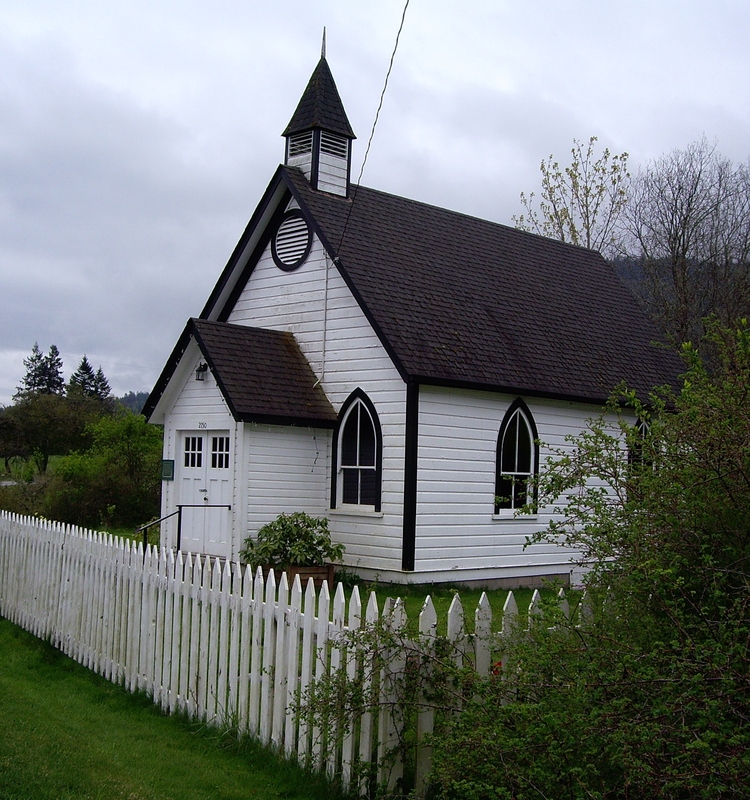 Hawaiians who adopted this new set of islands around 1850 helped build this church and some of their descendants still live on Salt Spring. 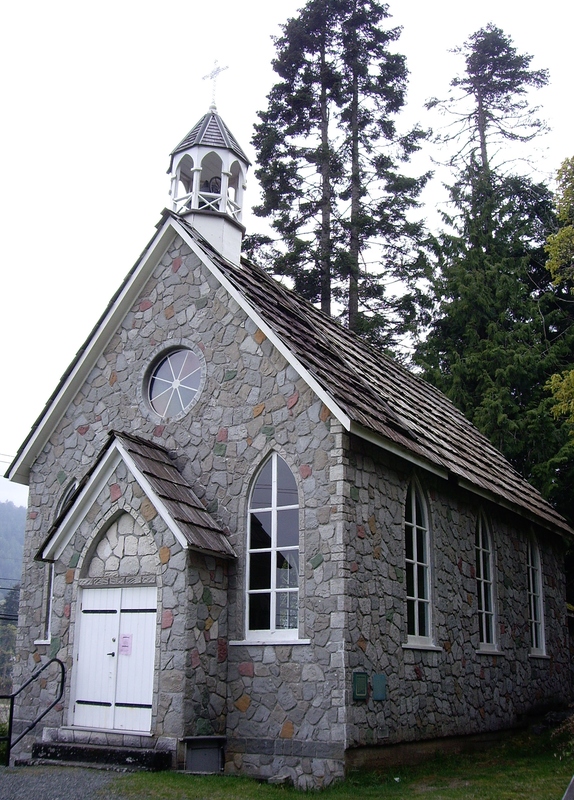 Salt Spring’s oldest church, dedicated in 1885, with building materials brought by canoe. I am always a little sad to leave, but now my heart enjoys the knowledge that I can and will return. 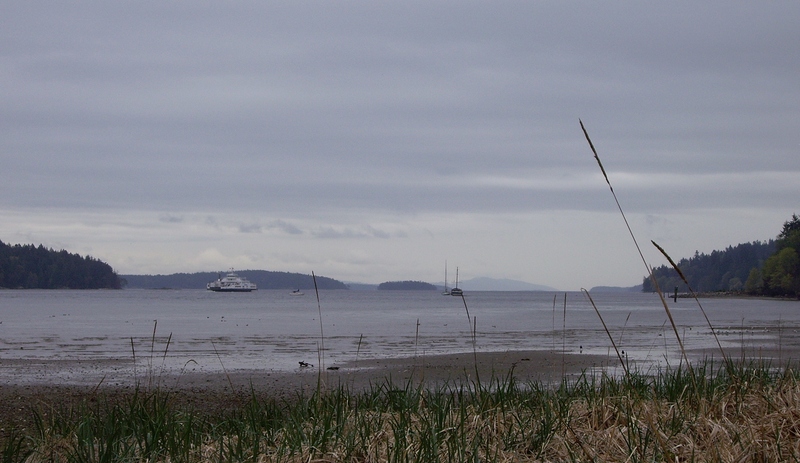 Waiting for the ferry I see a solitary otter fishing in the shallow bay next to the Long Harbour terminal. He moves through the water like mercury, sliding and diving and bobbing. I enjoy him for long minutes, confident that I will never be able to catch his slick seagoing image on camera, save for a blur. 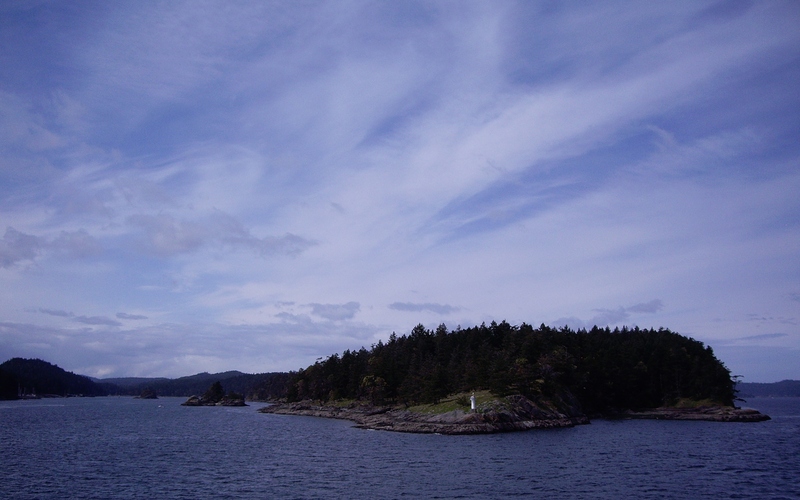 On the ferry deck, I feel the cold sea air bite into my hair and watch the island retreat. 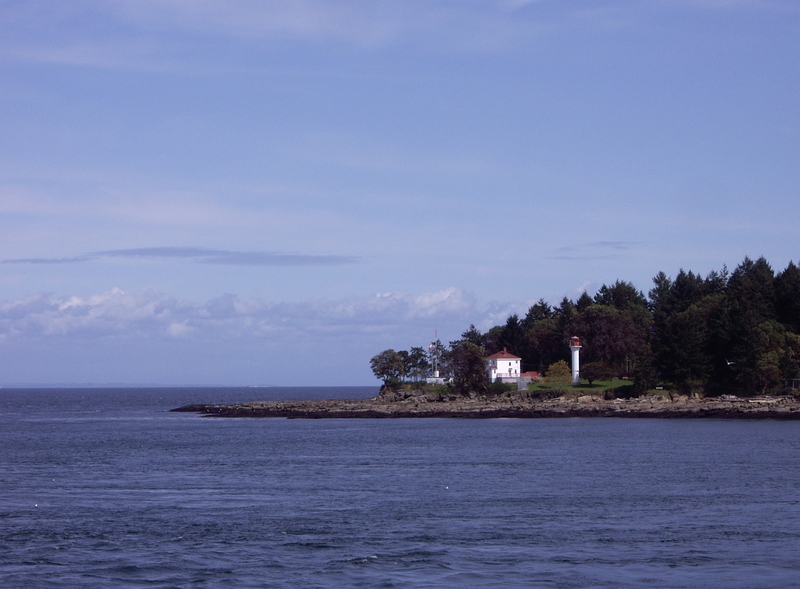 We pass a very small island with large pine trees. 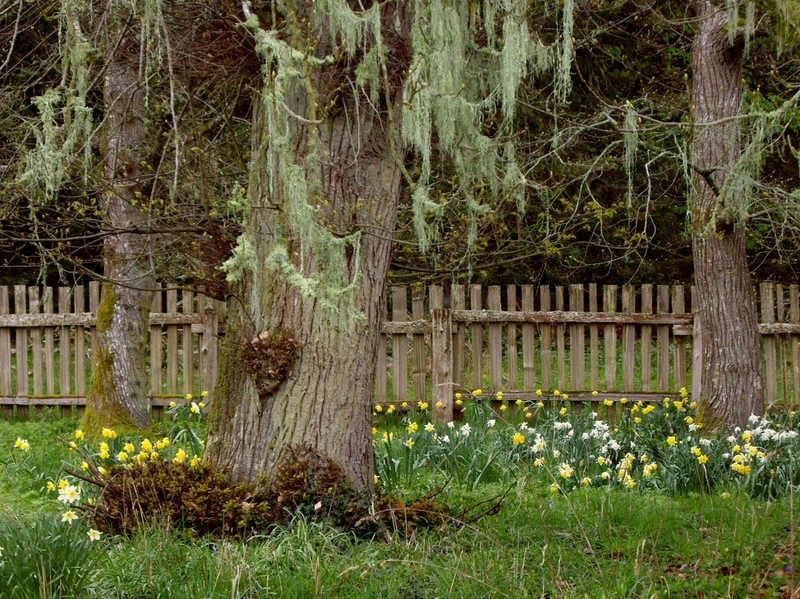 Tucked into the top branches are a pair of nesting bald eagles, their heads blazing white amid the deep green. 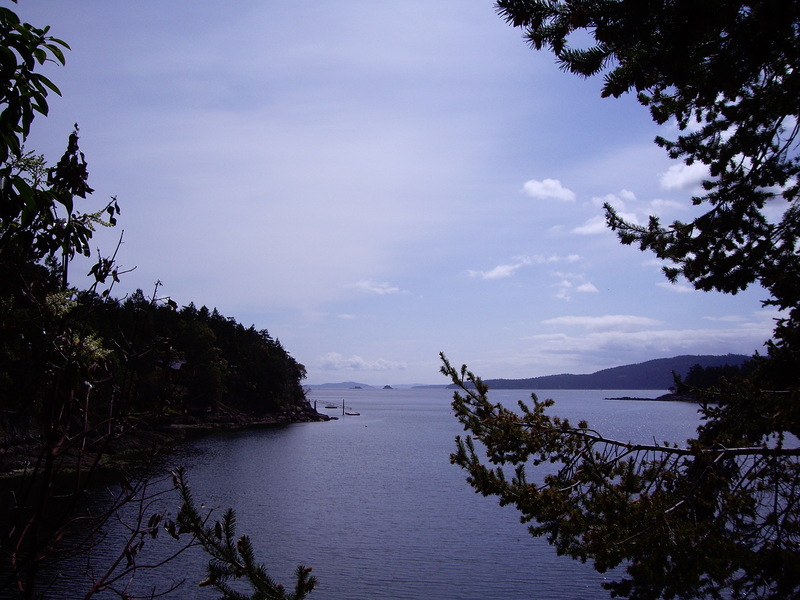 Then, a few hundred feet away, a lone eagle flies out of the trees and lands on the rocky shoreline. All of this is, of course, too far away for a decent picture. I am not worried, though. I will be back, with my camera.